Today saw the beginning of the festive season for us with a Christmas Market organised by Humanity Has No Borders as part of their fundraising efforts to send aid to refugees. There was something incredibly poignant about watching everybody have fun given the global events of the past few days, but at the same time it felt particularly important to be standing in solidarity with those seeking refuge from precisely the kind of terror that suddenly feels very close to home. The outpouring of sadness on social media that followed the Paris attacks has, predictably and frustratingly, been accompanied by a fresh wave of fear and hate – calls to ‘close the borders’ by people who are ‘not racist, but…’. I imagine this is precisely the impact that the perpetrators of such horrific crimes hope to have: to stir up negative emotions, break down natural human bonds and drive wedges between people and nations. I hope for something different. I hope that my beautiful son might grow up in a world that recognises all humans as equal, wherever they happen to be born. I hope that his future may be filled with compassion and generosity, not with fear and greed. Our Town Hall was filled with hope today, and the compassion and generosity of our community shone through. Already local people have donated enough aid to fill approximately one thousand boxes with supplies that could make all the difference to people struggling to survive in refugee camps in Greece: now we just need to get it there. If you would like to help you can find more information at www.humanityhasnoborders.org. Linking up today’s post with Darren at One Dad 3 Girls for My Sunday Photo and Jodi at Practising Simplicity for The 52 Project. 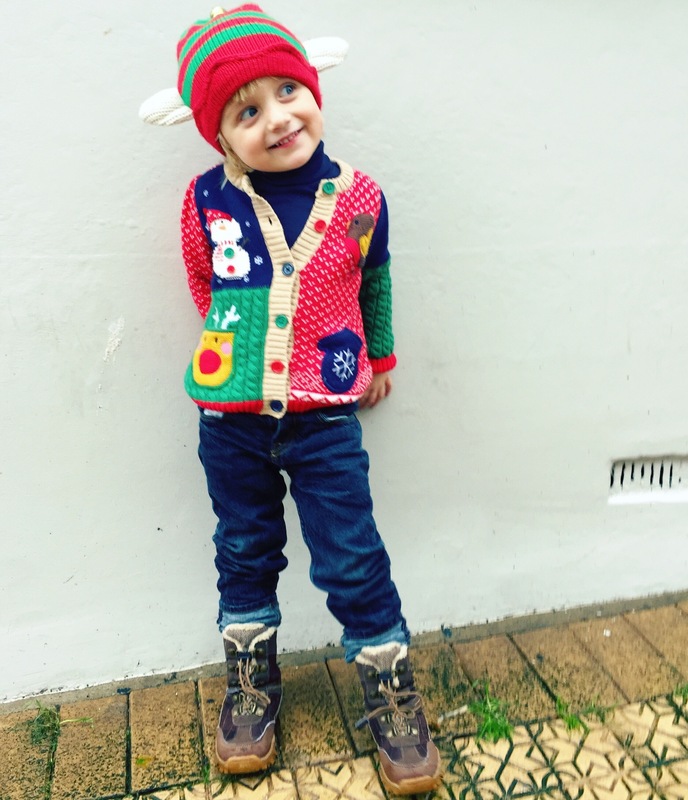 This entry was posted in Sophie is parenting, Sophie is photographing, Uncategorized and tagged brixham, Christmas, fundraising, hope, Refugees, terrorism on November 15, 2015 by sophieblovett. What a fab shot, very festive, and what a way to start off your festive celebrations than helping support people in worse situations than yourself.